Well, I suppose that it can’t be apartment acres, as we now live on like, 0.75 acres… so it is appropriate for us to have birds now. After a lovely weekend competing in agility with my dear Clark (and… not so well, but, I am not the world’s best handler), I came back home to the new animals purchased from the Wicked Chicken auction. We haven’t gone to auctions at all lately, because I have been too busy with dog shows, other dog related activities, and working. 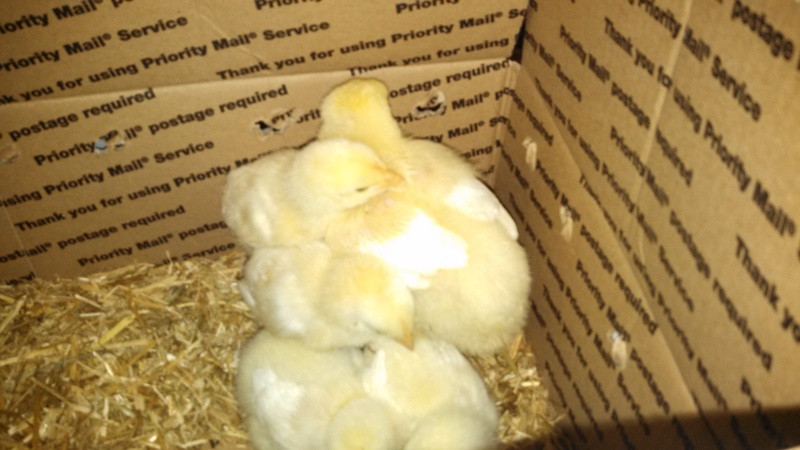 These are the little 7 day old birds before they went into the box. You can tell it is springtime, as the prices were really HIGH. 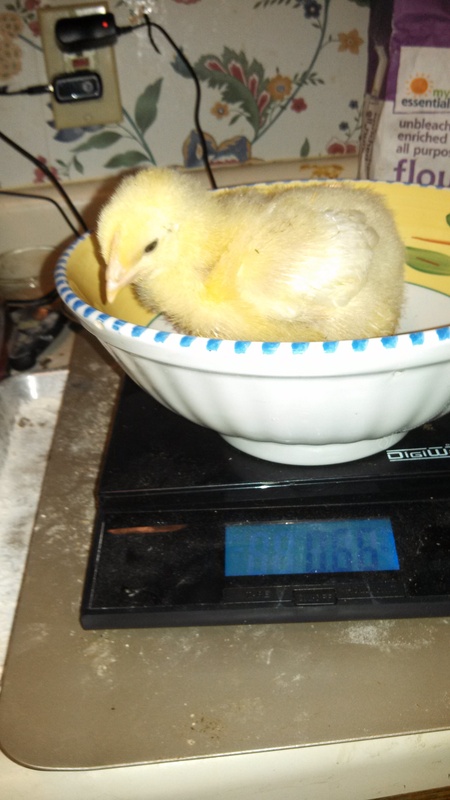 However, the partner in crime managed to get a box of $1 week old-chicks. Originally, we were going to give these to the cat, but it turns out that there is 1 Cornish/Rock cross, and 4 Cobb/Ross crosses. These are the broiler birds that I have always wanted to try out, so we decided to set up the incubator in the outdoor closet (laundry room, but we use it for beer brewing equipment). The Cornish Rock is substantially larger (over twice the size at 0.66 lbs) than the others, who average 0.26 lbs each. These guys gain weight slower than the Cornish Crosses, but I am hoping that they will be able to stand up longer. We also managed to get a Guinea Pig for like, $3, who is happily hanging out, munching on Kale next to the chicks. I am contemplating starting a free ranging colony in our small area of grass that we have… as rabbits, apparently, are way more work than Guinea Pigs. We have the space, and have the grass, so why not? Only time will tell. Now I am off to make the self watering containers for the Hop Rhizomes, and cleaning out my planters to put in some lettuce.